Are you constantly in “fight or flight”? Do you absorb other people’s negativity? Have you been criticized about being “too sensitive”? Have you been told to “toughen up” by well-meaning friends and family? Have you been told that you’re “crazy” or “nuts”? If you said YES to more than one of these questions, you are a Sensitive Soul. Other names for sensitive souls include: “highly sensitive person” or “empath”. According to research, approximately 20% of the general population is considered “highly sensitive”. If you are a sensitive soul, you have the ability to sense deeply; including emotions, sound, light, textures, smells and much more. You may be unaware of your gifts including clairvoyance, clairaudience, and claircognizance, and instead may suffer from them. Unfortunately, you can succumb to depression, anxiety, exhaustion, overwhelm and autoimmunity if you were never taught how to manage your empathy and sensitivity. Your sensitivity is your superpower. I know it is hard to believe that something that can cause such great pain, your sensitivity, could also be the source of your superpowers. But it is! 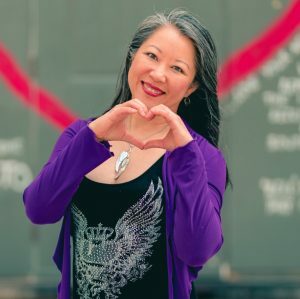 My name is Dr. Karen Kan. I’m a Doctor of Light Medicine and the Founder of the TOLPAKAN™ Healing Method. I am a sensitive soul. I grew up thinking that being sensitive was a bad thing. I cried at the drop of a hat. I felt sad when other people were sad. I couldn’t get through watching the news without bursting into tears. I was bullied by kids in school and was painfully shy. There was nothing I wanted more when growing up, than to be someone else. I didn’t like anything about myself. I didn’t like that I was so fragile. I didn’t like that I was overly nice. I didn’t even like the way I looked. All I wanted to be was someone who was tough. For decades I tried to be someone else. My delicate constitution was not made to endure medical school, but I pushed through it. Half the time, I was terrified of failure. The other half of the time I was exhausted. Finally in my mid-thirties I collapsed from sheer exhaustion and stress. I had not acknowledged nor honored my sensitivity for three decades and it finally caught up to me. By the time I was in my early thirties, I was diagnosed with fibromyalgia, chronic fatigue syndrome and clinical depression. In fact, I was suicidal and was planning to kill myself because I saw no way “out”. I was broke and exhausted. But something amazing happened when I hit rock bottom. One night when I was sobbing when I should have been sleeping, I heard a voice that said “You have a choice.” It was my own voice, but heard inside my head. For some reason, it stopped my crying and I decided to follow the advice of this voice. ​Because I had nowhere to go but “up”, I made some courageous decisions to stop pretending I was someone else and start honoring who I truly was. I began appreciating my sensitivity as a gift and began training it as a superpower. With the help of key mentors and spiritual healers, I was able to heal myself. 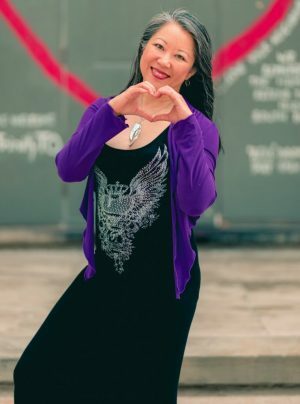 I’ve since written a bestselling book, and have made it my mission to help other sensitive souls harness their hidden gifts so they can fulfill their purpose. I want to help you go from feeling overwhelmed to feeling calm, clear and connected to your Soul’s Mission. That’s why I developed the Sensitive Soul SOS Program. I’ll be teaching you how to harness your natural gifts of clairsentience and clairvoyance to tap into the Source of all Creation, the Zero Point, so that you can experience instant calm and peace, as well as create your ideal reality from that space. I will also teach you how to activate your healing gifts so that you can be fully present in your own energies and be able to let go of other extraneous energies that are harming, crowding, or distracting you so that you can feel lighter and happier. In Module 1 of this program, I teach you how to connect to your Being, the Source within, by training your attention in a powerful way. Then I teach you to supercharge your intentions so you can begin exploring your gifts and creative abilities. Then in Module 2, I teach you to clear unwanted energies with TOLPAKAN™ Healing and other methodologies through recognizing what isn’t yours, releasing unwanted baggage and reassessing your well-being. 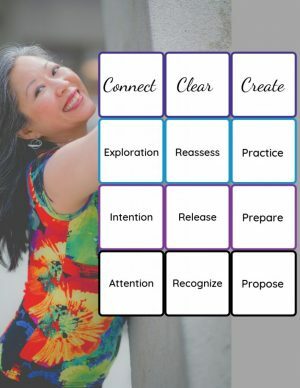 Lastly, in Module 3, I help you create a personalized prescription of sensitive soul wellness by helping you propose a plan, prepare your life for positive changes, after which you will then practice your prescription, tweaking it when necessary for optimal results. The TOLPAKAN™ Healing Method, also referred to as TKH Method, involves a 3-step process to help you be able to reliably access the wisdom within and to precisely map out what information you need and what healing energies to call forth. Divine Muscle Testing™ is similar to other types of muscle testing with one subtle but important exception. With DMT, we connect only to Source to ask our questions, not the subconscious mind or anyone else, including spiritual guides such as ascended masters and angels. We get assistance from the guides but we ask Source directly for the information we’re looking for. There are many intuitive healing methods, however TOLPAKAN™ Healing Method is unique in many ways. One of the ways in which it is unique is that you can be attuned to its high vibrational frequencies, even at a distance. This was not always the case (see below for the history of TOLPAKAN™ Healing). The second way TOLPAKAN™ Healing Method is unique is that unlike the majority of other self-healing methods available, it is immune to attacks by sophisticated negative energies. In other words, it is impossible to harm anyone, even by accident, and negative energies can be healed and released with ease, speed and grace. The third and most profound benefit of TOLPAKAN™ Healing is its power and speed. For example, we can influence the weather, heal all types of entities by the millions, resolve inherited imbalances from multiple timelines simultaneously, and easily discern and neutralize negative extraterrestrial influences (implants, mind-control frequencies, etc. ), all within seconds using a TOLPAKAN™ Healing Directive. It is very common to experience an immediate shift to wellness. Along my healing journey from feeling horrible to feeling fantastic, I finally found out who I really was, and it rocked me to my core. Finding out that my soul was a Lemurian Angelic being from a past life now reincarnated in my body was shocking enough. But then discovering that I did not complete my Soul’s Mission in that lifetime and that I had reincarnated to do exactly that in this lifetime was beyond belief. I was a “sensitive” soul, a starseed and earth angel. I found out that the combined healing energies of the Archangels had been bestowed on my Lemurian self eons ago. I was one of the original eight beings that had been personally attuned by Archangel Raphael. (Jesus was another of the original eight.) As a Lemurian healing master, it was my Soul’s Mission to attune earth’s inhabitants with this healing energy, spreading these healing frequencies far and wide. Unfortunately, when Lemuria was suddenly destroyed, I had not yet completed my mission. I then realized that it was my mission in this lifetime to complete what I had started in Lemuria. I was to share these healing frequencies with the rest of the world and teach them how to use them to heal themselves and others. At first I could only attune people one at a time, through touch or crystals, but now, thanks to Ascension, I’ve been able to attune most of humanity enmasse! Most people don’t even know they have these special healing frequencies that keep evolving and increasing in power and light with each Ascension upgrade. I created programs and events in order to teach people how to use their spiritual gifts and these abilities, which I now call TOLPAKAN™ Healing. 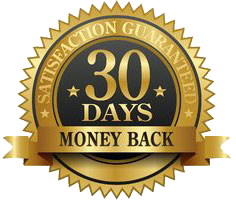 It is quick and fast…and you do not have to be a professional healer to do amazing healing work on yourself. 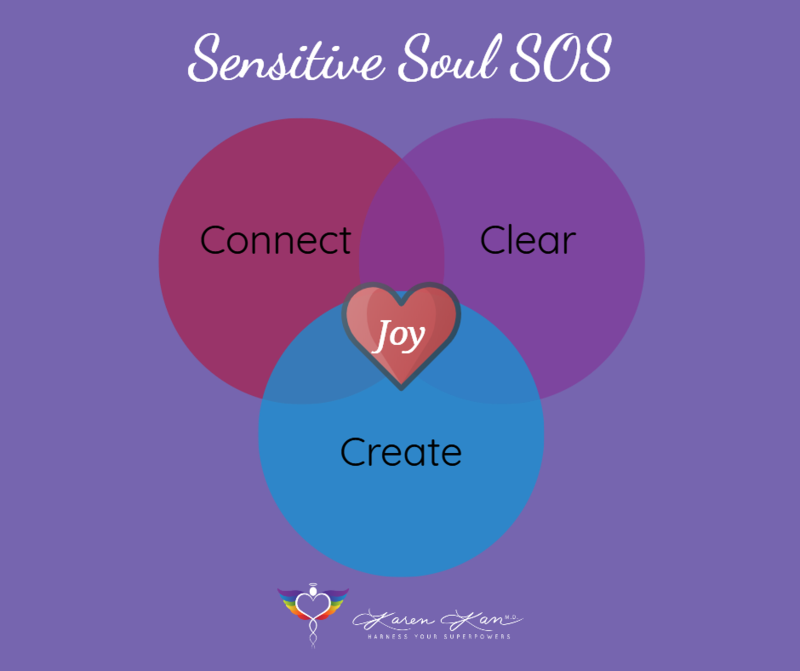 In the Sensitive Soul SOS program, you will be attuned to TOLPAKAN™ Healing Energies and will learn specific Directives and healing techniques to help clear negative energies, so that you can feel calm, clear and connected..